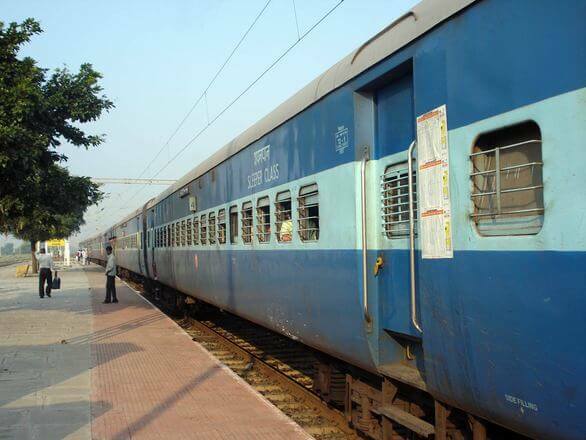 In a rare move, Indian Railway Catering and Tourism Corporation (IRCTC) has served a legal notice on a prominent train e-caterer serving in trains,TravelKhana, alleging copyright and trademark infringement. TravelKhana offers a call center interface, a web interface, and a mobile app interface to passengers where they can book their meal by providing their ‘Passenger Name Record’ (PNR) number through calling, website or mobile app. It is claimedby IRCTC that ‘IR Catering’, TravelKhana’s mobile app, is deceptively similar in the name,color scheme and design to the IRCTC’s mobile application ‘IRCTC Connect’.The similarity of the marks is likely to create the impression that the source of the apps is same or that there exists an association between the two companies. The said notice demanded TravelKhana to remove their app from the Google Play Store with immediate effect, along with damages to the tune of five lakh rupees. The impugned marks comprise of an orangecircular design with three othercolors and the respective logos in blue. Comparing the two marks, one is likely to get confused due to the close resemblance shared by both. TravelKhana is amongst the herd of other web based caterers serving the train passengers like yatrachef, merafoodchoiceetc. Despite the founder of the said company clarifying that they have not claimed to be IRCTC in any application, their blog states otherwise, wherein it is clearly mentioned that the activities are authorized and approved by the latter. Moreover, another company official has claimed that they have requested Google to remove TravelKhana’s application from GooglePlay Store apart from writing to the Rail Ministry on this issue. Since TravelKhana has complied with the take down claim of IRCTC within a short span of time, it is highly unlikely that the dispute will go to the Court. Category Copyright, Trademark | Bookmark the permalink.